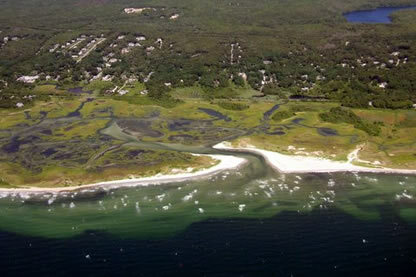 The town, Salt Pond Areas Bird Sanctuaries, Inc. and the Massachusetts Audubon Society protect some 140 acres of the Great Sippewissett Marsh and Black Beach on Buzzards Bay. Thousands of years ago, sea levels were much lower, and a grove of Atlantic White Cedars and other freshwater plants existed in this very spot. When the sea rose, the accumulation of swamp peat moss provided the perfect base for the salt marsh of today. This peat moss layer, along with an eroding shoreline, account for the shallow waters that extend into Buzzards Bay. 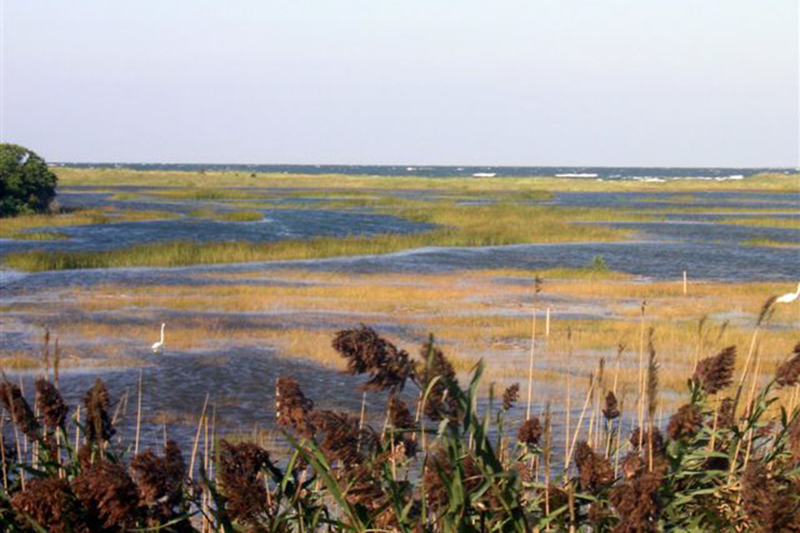 The marsh is best reached by small boat or on foot at low tide from Chapoquoit Beach. The Shining Sea Bikeway offers scenic views of the marsh and Black Beach beyond. Sippewissett or, Life on a Saltmarsh, published in 2006 by Chelsea Green Publishing, weaves a personal memoir with the science and history of the Great Sippewissett Marsh. The author is Tim Traver.